Posted on 16, March 2016 by EuropaWire PR Editors | This entry was posted in Business, Germany, Industrial, Marketing, Metals and Minerals and tagged BAUMA, Hannover Messe, Salzgitter AG, trade shows, Tube. Bookmark the permalink. The international steel tube industry comes together in Düsseldorf for the TUBE trade fair. The Salzgitter Group is placing the “Mannesmann” brand center stage under the claim of “MANNESMANN. Das Rohr ”. The following companies will also be featured: Salzgitter Mannesmann Precision, Salzgitter Mannesmann Handel, Mannesmannröhren-Werke, Salzgitter Mannesmann Line Pipe, Salzgitter Mannesmann Stainless Tubes, Salzgitter Mannesmann Grobblech and EUROPIPE (joint venture forged by the Salzgitter Group and AG der Dillinger Hüttenwerke). On three evenings (5 – 7.4. ), a customer event is being held at the trade fair booth under the “Blaue Stunde” banner (“Twilight hour”). The BAUMA trade fair in Munich is the world’s largest event for construction machine manufacturers and their suppliers, and therefore a target fair for the Salzgitter Group. The following companies will be featured: Salzgitter Mannesmann Precision, Ilsenburger Grobblech GmbH, Salzgitter Mannesmann Line Pipe and Salzgitter Mannesmann Stahlhandel. The customer event will be held at the trade fair booth on April 14, 2016. 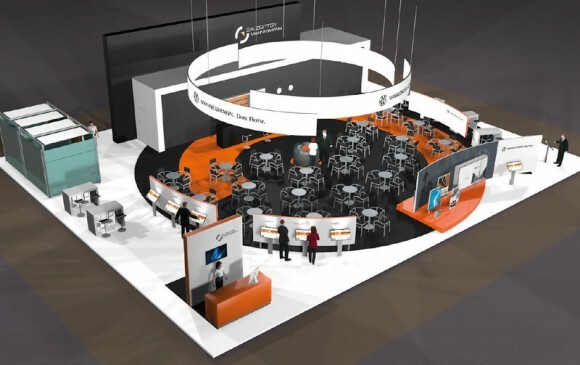 “Industrial Supply”, which is staged as part of the HANNOVER MESSE event, is the leading international trade fair for innovative supplier solutions and lightweight design and construction – and the Salzgitter Group is an important exhibitor. Together with its subsidiaries, the Group is presenting innovations for industry and the automotive sector. One particularly salient example of innovation to be featured is a chassis from Volkswagen AG’s modular transverse matrix. The chassis contains numerous components made of innovative grades from Salzgitter Flachstahl. In addition, an exhibit from KHS GmbH picks up on this year’s overarching theme of Hannover Messe “Integrated Industry – Discover Solutions”: The CyberSystemConnector will be presenting automated documentation in the Industry 4.0 environment using a LEGO Mindstorms system. Another key date for the steel industry and partners of the Salzgitter Group is the Salzgitter AG customer day on Tuesday, April 26, which is being held for the first time directly at the booth in Hall 6.